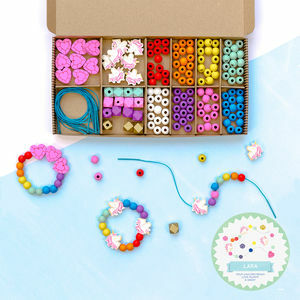 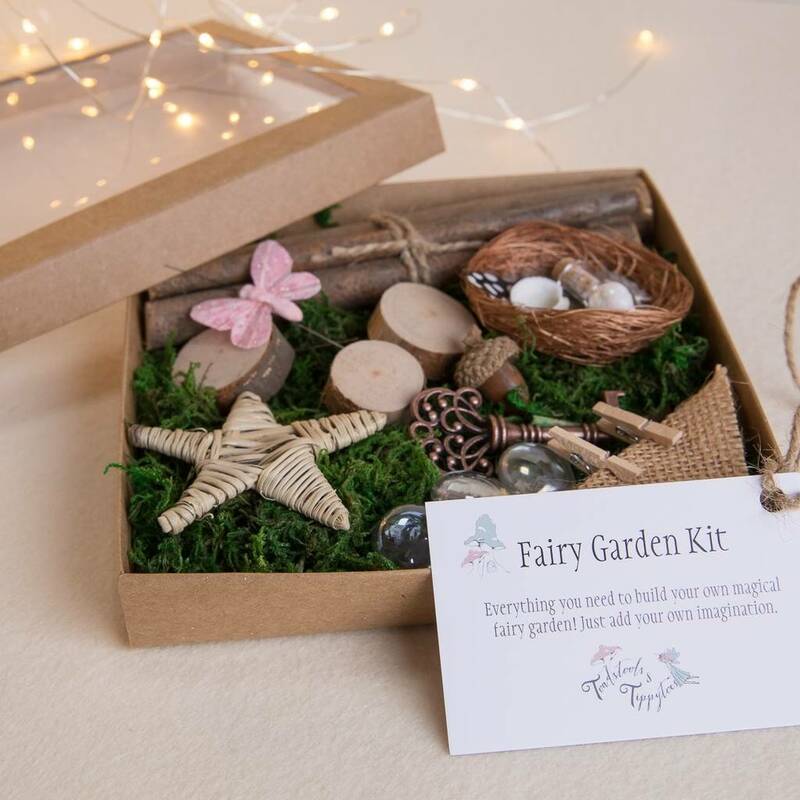 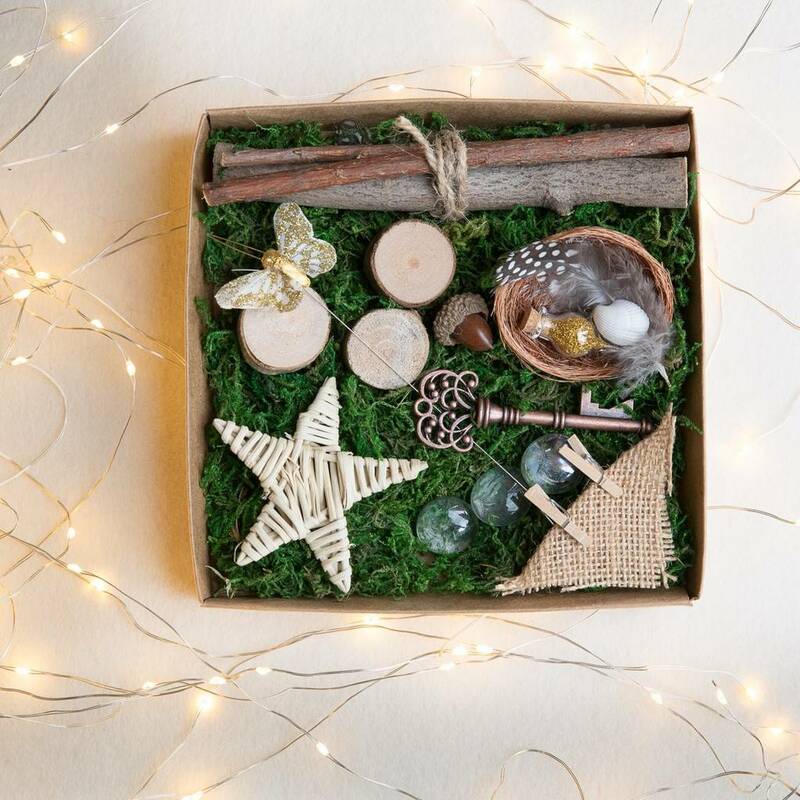 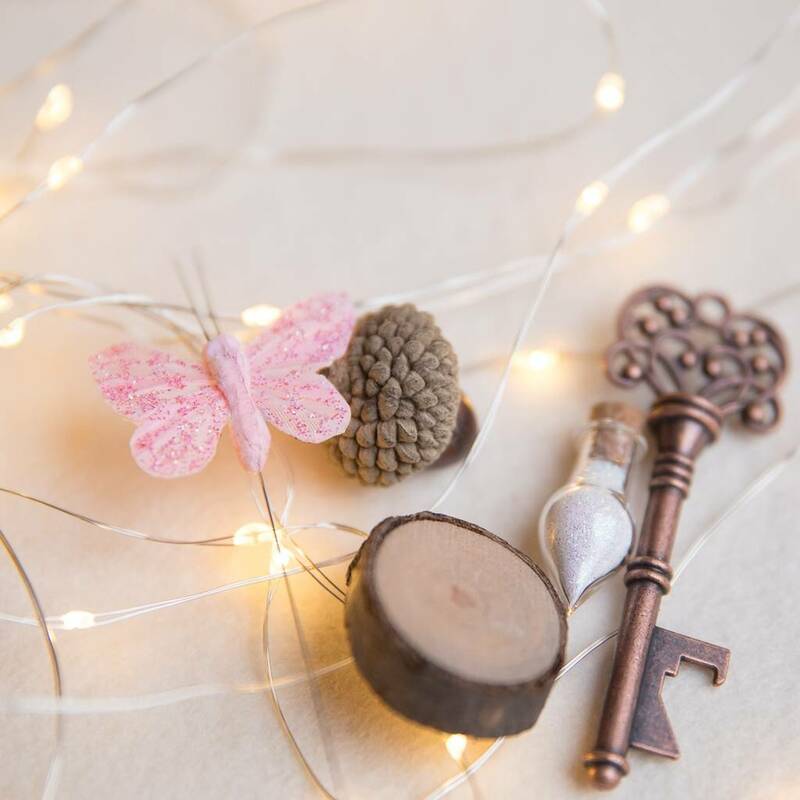 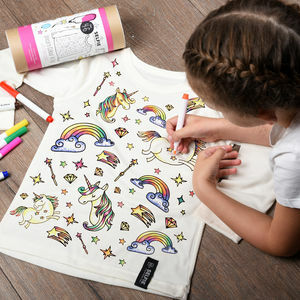 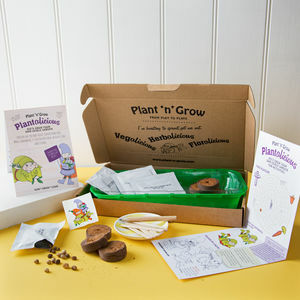 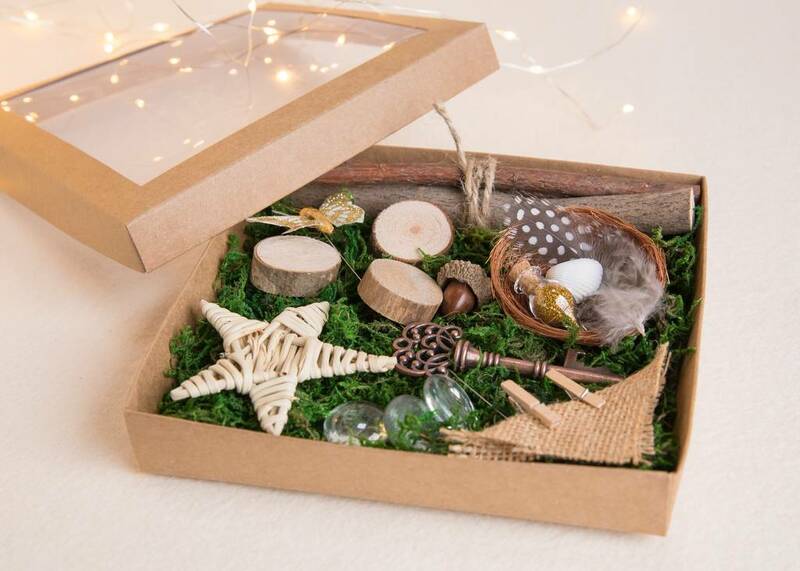 A box of beautiful natural supplies to create a fairy garden perfect for fairy lovers. 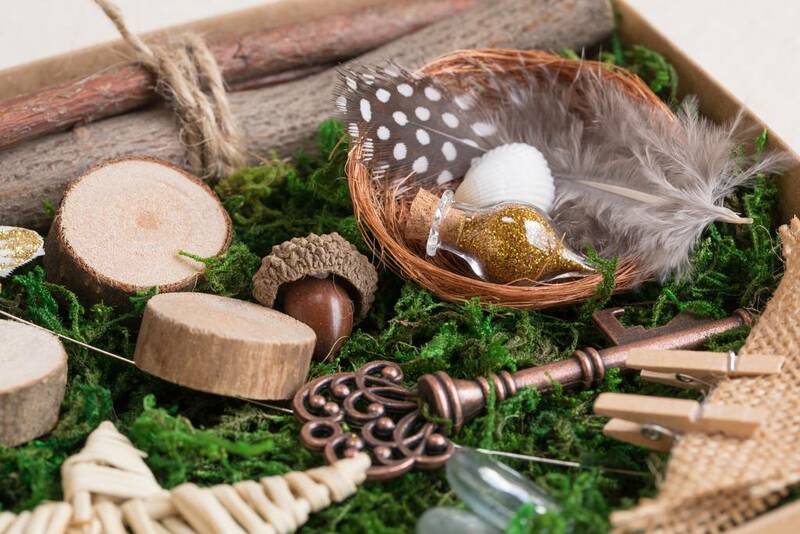 Magical tiny bottle of fairy dust, Shells, Glass pebbles, Mini nest, Feather, Twine, Mini Pegs, Hessin Square, Acorn, Wood slices, Feather wired butterfly, Willow sticks, and lots of moss. This product is dispatched to you by Toadstools and Tippytoes.